We deliver hot, nutritious meals to members of our Columbia community unable to prepare their own food due to a temporary disability, long term health condition, or recent hospitalization. In addition to hot, nutritious meals delivered to our clients' doors, our friendly volunteer drivers share smiles and provide conversation; adding to seniors' quality of life. We celebrate that 94% of all donation dollars go to food cost. Seniors (70+), adults recovering from surgery, and disabled adults all qualify for Meals on Wheels. We make living in Columbia easier for seniors aging at home. Our sliding fee allows your donation to helps those less fortunate. 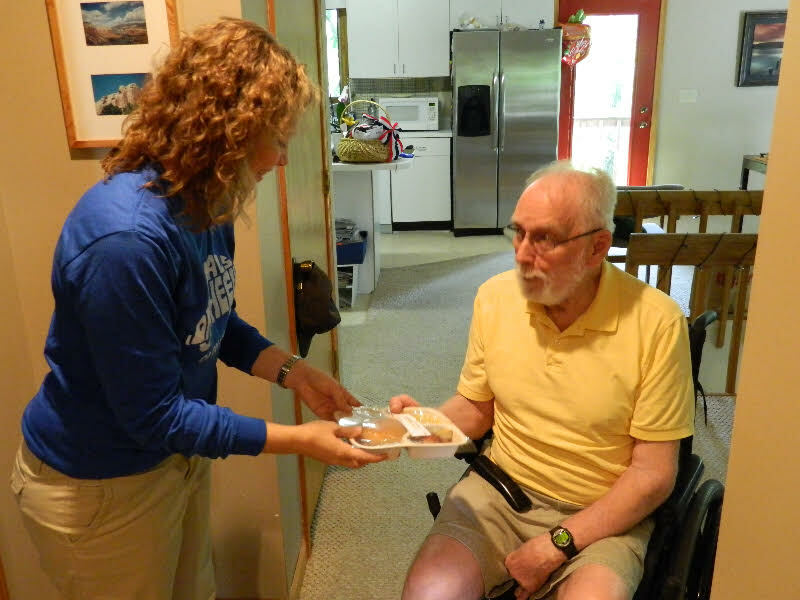 Meals on Wheels needs volunteers to deliver the meals Monday through Friday from 10:45 AM-12:30 PM.